I am thrilled to announce that I have moved to my official site at michaelatashjian.com. I will no longer be posting on my wordpress blog, but on the blog at my new site, where I have moved most of these articles. Thank you so much for reading and I hope you will continue to do so as the site grows! As always, you can recieve updates via Facebook and Twitter as well. 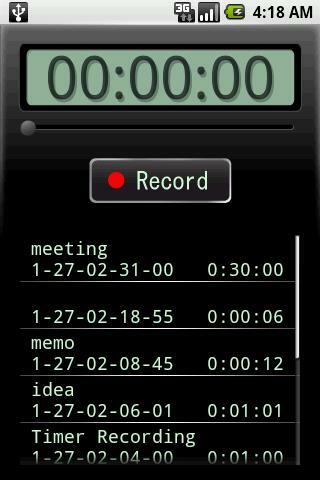 Voice Recorder is the perfect app for the on-the-go writer. When I was writing my first novel, I used a clunky tape recorder to brainstorm myself out of plot holes and even to babble lines of poetry for later use. The tape recorder eventually broke, so I was excited to discover this application. Not only is this great for recording ideas when you don’t have a pen and paper nearby, but a gem for students like me whose thoughts can wander during long-winded lectures. This is one of my favourites. 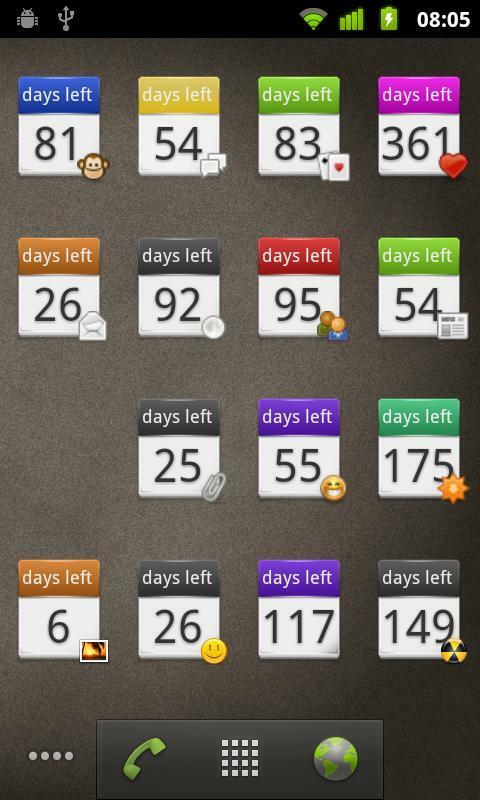 Days Left is a reminder app which allows you to install widgets onto your home page. Just punch in the date of an event or deadline, pick a colour or icon to go with it if you wish, and drag it into place on the selected page. These are perfect for keeping track of deadlines for assignments and writing contests. I have about twenty on my phone right now. This one was controversial to me for a while as it is difficult for my nostalgic self to abandon my “real” books for .azw and .opf documents; but since I’m a writer as well as a reader, the benefits are far too numerous to turn down. Any of you who knows what it’s like to spend precious minutes flipping through a book to find a favourite part will appreciate the search option on the Kindle. Enter the word or phrase you’re looking for and highlight without marring the prized pages of a hardcover. The best feature on this app in my opinion is the note-taking function. I use this to write all of my “Writing Methods From…” articles. If you’re serious about learning the craft of writing, paying attention to structure by taking notes is one of the most effective approaches. If you love mysteries, you can even play detective and try to solve the mystery before the book is over! This last one is a bit obvious. Serving the same function as the infamous “writers’ notebook,” it saves you a bit of extra room in your pocket or purse. The Evernote app will sync with your online account if you have one, but if you’re more of a sticky-note kind of person, you might want to try the Memo or Desk Notes app. Do you use an Android or other smartphone to benefit your writing? Would you say it’s more of an effective tool or a distraction? Did I miss your favourite application? It is a great dream of many writers to create a world so real they can live in it, and this dream is never entirely out of reach for any of us. 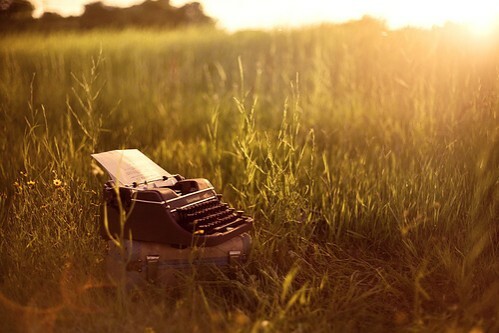 No matter how inexperienced you are in your field of writing, with sharp imagination and a passion for your story, you will always have what you need to pen something beautiful. Just look at J.K. Rowling and all of the adoring readers of the Harry Potter books. If you have been reading my past articles on the series, you will see I think Rowling is a fantastic writer, but no writer is perfect. Independent journalist and Harry Potter fan Michelle V. Rafter goes as far to say that Rowling’s early writing is “downright pedestrian.” Yet she fell in love with the series just like the rest of us. Even adverb nazi Stephen King can grin and bear the abuse of all those adverbs in dialogue tags throughout the entire series. In fact, he acclaims the books. “How come she can abuse adverbs and get away with it?” you may ask savagely. Because the story is brilliant, and her world is authentic. In this article, I’ll be covering one of three world-building techniques I picked up from The Goblet of Fire–everyday living being the first of these. It should go without saying that a tangible world has tangible things in it. This means that a story needs more than dialogue, plot, and theme. No matter how real your characters may be, your world will not be authentic if there is no flesh on its skeleton. One way to go about “fleshing out” this skeleton is to add items to your book that are (to your characters) commonplace. These items may be substitutes for tools we use in real life, something never heard of, or even something spoofed. A good example is spellotape (see sellotape), something we recognize as an everyday office item, which Rowling has put a spin on to make the wizarding world more realistic than one may think. Another world-building necessity neglected by many fantasy authors are books. Books are extremely important. As a writer, you should take into account that most of your audience will be book lovers, and give books a special spotlight in every story. 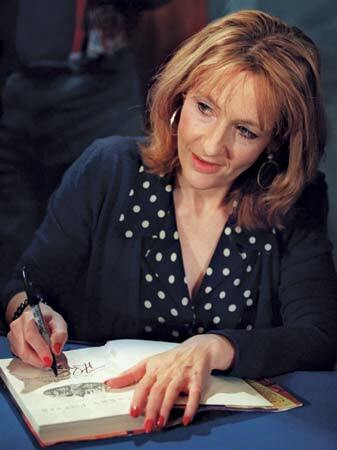 J.K. Rowling went the extra mile by creating a bibliophile with whom her readers can connect as one of the main characters. In the series, Hermione Granger is constantly calling readers to the fact that Hogwarts has a history (she references Hogwarts, a History seven times throughout their first, second, third, and fourth years there). In such an academic setting, there are books around every corner, Magical Water Plants of the Mediterranean being a significant one to Harry’s second task. Other examples of commonplace and not so commonplace devices in the book are the portkey used to transport wizards to the Quidditch World cup as well as items sold there (Anti-Burglar Buzzer, Mrs. Skower’s All-Purpose Magical Mess Remover, etc. ); Dark Detectors in Mad-eye Moody’s office including Sneakoscopes, Secrecy Sensors, and a Foe-Glass; and even Daily Prophet reporter Rita Skeeter’s Quick-Quotes Quill. To sum it up: When building the setting in which your fantasy story will take place, always remember to include objects reminiscent of those we use in our every day lives–but don’t forget to throw in some wacky inventions of your own! As stated in my previous post, many of us writers find ourselves again and again in that blank, unproductive state where we sit for hours without producing more than a few satisfactory words. This is the post where I crack down on this bad habit with specific methods I’ve learned to use in breaking it. Now one practice I’ve found effective is rotating projects and consequently taking a turn with each one. I always have several projects going on at once. Take for example, 1) outlining a novel, 2) writing poetry, and 3) writing articles. Often, you’ll find that instead of taking a two to three hour window of time to “write,” allotting yourself small portions of time for very specific objectives can help you be more productive. Try this: give yourself 30 minutes to work on the novel, 30 minutes to write poetry, and 30 more minutes to type up an article. We’ve broken down that 90-minute time window into three different segments, but if you’re like me, they’re still a little to general to tackle as is. Now specify what you’re going to do with each of these 30-minute sessions. Use your first 5 minutes of novel outlining to brainstorm plot ideas, the next 5 to list character names, 10 to freewrite about what you want your novel to be, and the last 10 to flesh out character sketches. Likewise, break down your poetry session into making lists of rhymes, freewriting subject matter for your verse, and practicing with different meters and forms. For tips on how to write articles when you’re pressed for time, see Jim Estill’s post on How to Write an Article in 20 Minutes. Especially since getting a job and starting a condensed class schedule this summer, I’ve realized that setting specific goals in narrow spaces of time can help create a more urgent, more focused writing environment and push you on your way toward more efficient writing sessions. 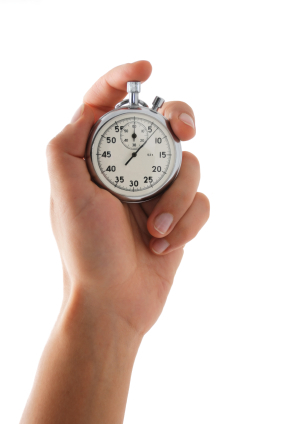 Do you have trouble getting work done in wide or narrow spaces of time? What process do you follow to achieve your attempted word count each day? Leave your thoughts in a comment below. As writers, we are all familiar with the frustrated feeling we may get when faced with the prospect of being unproductive. Many have dubbed this fruitless state “writers’ block,” but I find that a poor excuse for a blank screen and stagnant word count. Perhaps the most frustrating part about this futile state is the potential of it. So much time on our hands, but nothing accomplished. This is enough to drive anyone mad, which is why, until you pump out that first best seller, you should tuck away those dreams of writing full time and get a day job. A steady source of income. Enough romanticizing the dirt-poor scrivener who writes for every meal. It’s a very nice idea to live off of one’s words, but let’s put that on hold until we’re selling books by the million, shall we? We want to be successful, and the first step to being successful is to stay alive. Keep your house; keep your job! And keep your sanity and your dignity while you’re at it. The opportunity to stretch! You can make any excuse you want (I make plenty–“I’m stretching over my laptop!”) but no matter how you look at it, sitting in a desk chair for extended periods of time is terrible for your body. For example, I have a handicap stemming from partial sacralization in my back (see Dictionary.com’s Medical Dictionary), which causes pain that is worsened by remaining in one position for more than a few minutes. I now have a part-time waitressing job. I never get a chance to sit. I’m always walking back and forth, which is very good for my back. The lifting and carrying of heavy trays? Not so much. But you get the point. 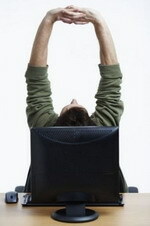 It’s unhealthy to sit around all day–go to work, or do some chores. More time in the real world. A writer must be constantly observant of his surroundings. Leaving your house once and a while to go to work will expose you to new people and places, broadening the subject matter you will use in your writing. You’ll come across interesting people, hear realistic dialogue, and experience new occurrences every day. You may even find open time windows throughout your job for mini writing sessions. My job as a waitress, for example, allows me to jot things down in my booklet next to customers’ orders. Your job does not have to be in the writing field. The whole point is to have time away from your writing so that you are more focused when the time comes to sit down and produce more words. Less time to write. It’s a good thing. Really. Taking time away from your projects (or lack thereof) will give you other things to think about and leave you creatively stimulated and hungry to write next time you sit down at your desk. Comparatively, having short spans of time as opposed to long, fruitless periods will press you to write more productively. Have a word goal and cut-off time, or go to the extreme of using Write or Die (“putting the ‘prod’ in productivity!”) or a similar program. However you do it, manage your time wisely (I’ll be posting an article on various methods shortly). Until then, form efficient habits now; they will make or break your writing career in the future. Do you have a job that is outside the sphere of writing? 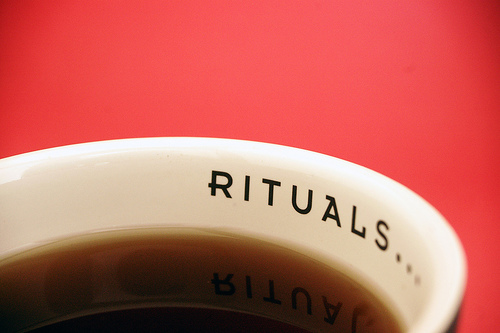 How do you manage your schedule in order to make time for writing? What other benefits of keeping a day job have I missed? Leave your thoughts in a comment below. Set up your writing environment. Make your writing time something to look forward to. Here are six things that I like to do before or during my writing time. 1. 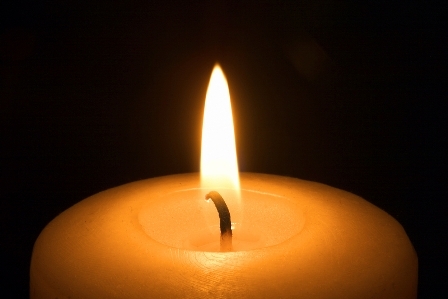 Light a candle or two (or three or four). I love writing in old-fashioned settings, and in old-fashioned ways. When I was younger, I used to write fairy tales with a quill and ink, and by candle light of course. I even logged the time and setting of my writing for a month, and interestingly enough, the quality of my poetry is always better when written by candle light. Coincidence? You decide. What music really makes you want to write? Perhaps the soundtrack of an inspiring movie you’ve seen, or a list of songs that are about writing (post on this topic soon to come). I like to listen to “Defying Gravity” *cough*ChrisColfer*cough* when feeling discouraged, or epic trailer music while brainstorming , or “Paperback Writer” by the Beatles and songs with similar themes. 3. Pour your coffee (or tea). 6. 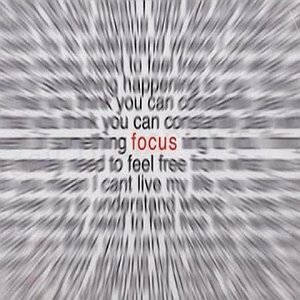 Come back to your main focus. Why is it that you write? What, out of all of the things in the world, are the most important to you? Your faith? A cause? Are you writing for that? If you want to be truly productive, take a minute before each session to rediscover this focus, this cause for your writing. Brainstorm. Meditate. Pray. When I feel that I’m not getting anywhere with my writing, I come back to what’s most important to me. “Would God be pleased with what I’m writing?” I ask myself, because if He wouldn’t be, then why am I writing? Your cause may be different from mine. Maybe you haven’t established it yet. If not, find a quote that inspires you to write, and post it above your desk. I have a bunch of quotes pasted all over the walls of my writing space. One of them is Proverbs 16:3. In my previous article, “How To Publish Your Writing With Duotrope,” I listed the basics of the main search engine and a couple of strategies to get you started finding suitable publishers for your writing. For those of you who would like to utilize even more of Duotrope’s resources to their highest efficiency, these five tools are for you. Click the picture above to buy me a tall caffe mocha.